HAMILTON, ON, Feb. 8, 2019 /CNW/ - Stelco Holdings Inc., (TSX: STLC), a low cost, integrated and independent steelmaker with one of the newest and most technologically advanced integrated steelmaking facilities in North America, today announced that it plans to release its fourth quarter and full-year 2018 financial results on Tuesday, February 19, 2019, after the close of the market. 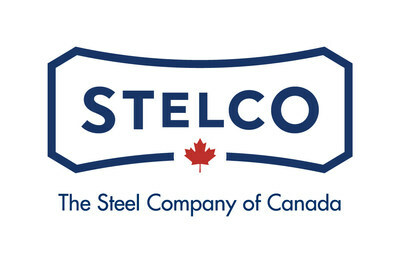 Stelco management will host a conference call to discuss its results on Wednesday, February 20, 2019 at 9:00 a.m. ET. To access the call, please dial 1-800-239-9838 (U.S. and Canada) or 1-323-794-2551 (international) and reference conference 6187330. The conference call will also be webcasted live on the Investor Relations section of Stelco's web site at https://www.stelco.com/investors. Following the conclusion of the live call, a replay of the webcast will be available on the Investor Relations section of the Company's website for at least 90 days. A telephonic replay of the conference call will also be available from 12:00 p.m. ET on February 20, 2019 until 11:59 p.m. ET on March 6, 2019 by dialing 1-844-512-2921 (U.S. and Canada) or 1-412-317-6671 (international) and using the pin number 6187330. Stelco is a low cost, integrated and independent steelmaker with one of the newest and most technologically advanced integrated steelmaking facilities in North America. Stelco produces flat-rolled value-added steels, including premium-quality coated, cold-rolled and hot-rolled steel products. With first-rate gauge, crown, and shape control, as well as reliable uniformity of mechanical properties, our steel products are supplied to customers in the construction, automotive and energy industries across Canada and the United States as well as to a variety of steel service centres, which are regional distributers of steel products.